Look for the Cadillac at Shouldice Park on Saturday’s during the CBFA season and enter to win great prizes or even a sweet ride for a week! GSL is proud to sponsor the CBFA Player of the Game for every game all year long! Coming soon to Shouldice Park at Hellard Field is the Greater Calgary Amateur Football Association (GCAFA) Wall of Fame. Big Print Sign Company is proud to support minor football in Calgary as the newest sponsor of the CBFA. 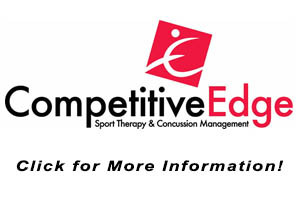 The Calgary Bantam Football association is proud to work in collaboration with Competitive Edge Sport Therapy to minimize the cumulative effects of head injuries in sport through prompt and proper recognition and treatment. 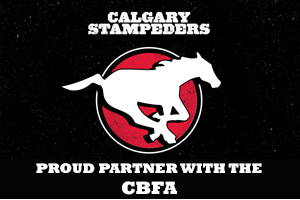 The Calgary Stampeders are proud to support minor football in Calgary through the 50/50 program. Reserve your seats for Grey Cup 2019 today!